When Melissa DeMarie found herself side-lined with a shoulder injury four years ago, her dream of getting more women on the water finally found the right time to come alive. 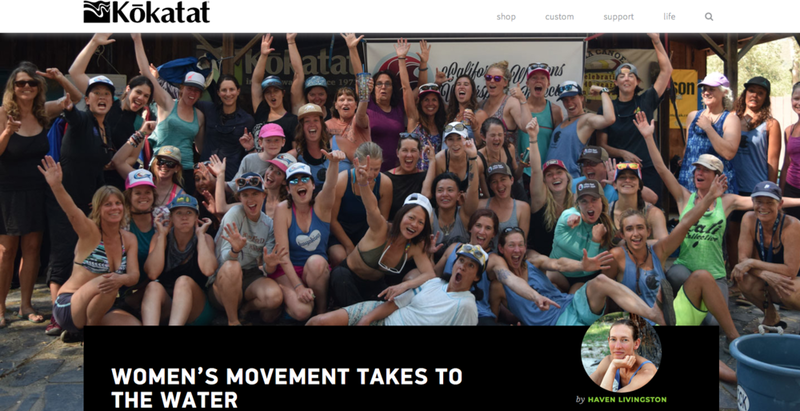 She founded California Women’s Watersport Collective and kicked it off on a shoe string budget with a few meet-up paddles and one weekend clinic for women’s kayaking on the South Fork American River. Once the first clinic’s registration overflowed onto a waiting list and people starting asking what else was available there was no turning back. Since then, CWWC (aka Cali Collective) has gone from a few women with big ideas to an inspiring all-inclusive community on and off the water. A woman’s experience of the world is different from men’s and that holds true on the water. The way women face challenges, fear and team work is unique. Cali Collective gives women a place to share their experiences and stretch their boundaries in a supportive setting. Whether rafting, kayaking or stand up paddling, the sense of shared accomplishment at the end of the day is something each woman carries home with her. Building confidence on the water translates directly to a greater sense of confidence in the rest of life.